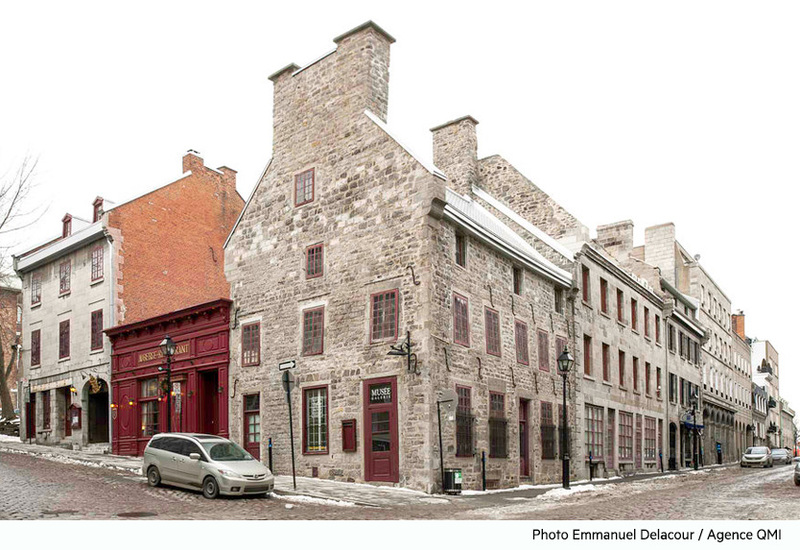 This is Maison Du Calvet’s facade, located in the Old-Montreal, one of the oldest buildings still existing and the most beautiful example of the urban architecture developed in New France with its massive crude rock walls, chimneys and steeply-sloped roof. Pierre Du Calvet get the ancient house from its soon-to-be parents-in-law to replace it and renovate it, he built this one in 1770-1771.
Who is Pierre Du Calvet ? Du Calvet immigrated to Canada at the end of the French regime. After some years in Acadia, he settled in Montréal around 1761 and engaged in trading. Appointed Justice of the Peace in 1766, he took up this position until 1775. He married Marie-Louise Jussaume in 1771 after he bought the ancient house and built the new one. Unfortunately, in 1774, Pierre Du Calvet widowed. During the american invasion, he is suspected of complicity with the rebels, and this accusation sent him in prison in 1780. Released in 1783, he conducts an important campaign to overhaul the administration of justice in Canada before to leave the country and die in a shipwreck in 1786. After the death of the illustrious and owner Pierre Du Calvet, the house is seized and sold in 1789. Guests house or inns, shops, restaurant or museum, are the different functions of the house. Today, the house is a luxury, first-class inn and a protected building from a law on the cultural heritage since 2012, to be located in the Old-Montreal heritage site. We discover it quickly jogging in the Old-Montreal because this one is rich in heritage, sites and buildings as wonderful from each others… You just need to discover it 😉 Book your Old-Montreal and Old-Port running tour! This entry was posted in Uncategorised and tagged architecture, building, heritage, inn, Montréal, New France, Old-Montreal, Pierre Du Calvet. Bookmark the permalink.